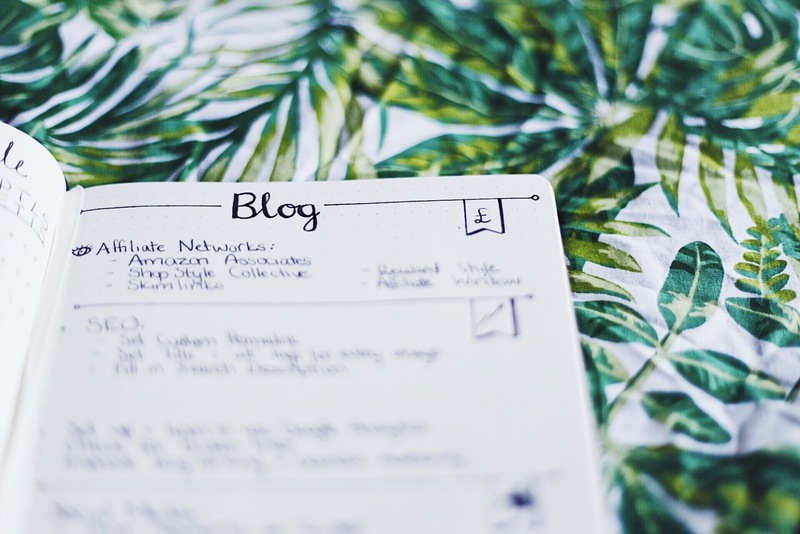 Last week I wrote the first part of my Bullet Journal set up and talked you through the layout of the notebook itself and how I'd used it to create my Future Log, Monthly Logs and Tasks (if you missed it click here to read Part 1 first) so today I'm going to delve a bit further. Once you've created your initial 'logs' you have a ton of blank pages to do anything you like with. You can create lists, notes trackers and so on but if you're sticking to a particular topic, give it a title and add it to your Index, then you have a 'Collection'. (For more information on Collections read the Bullet Journal Guide here). I have found these so helpful for jotting down ideas in a variety of different ways and it is one of the main reasons I have fallen in love with Bullet Journalling. My first collection is for wedding planning as this is one of the main topics that occupies my brain a lot of the time! (Sidenote: I'll be writing about getting engaged in next week's blog post! )I started at page 20 of my BuJo and allowed approx. 6 more pages for more notes. Officially you're supposed to use the BuJo continuously and not leave blank pages but I really wanted to not have to flick back and forth too much. 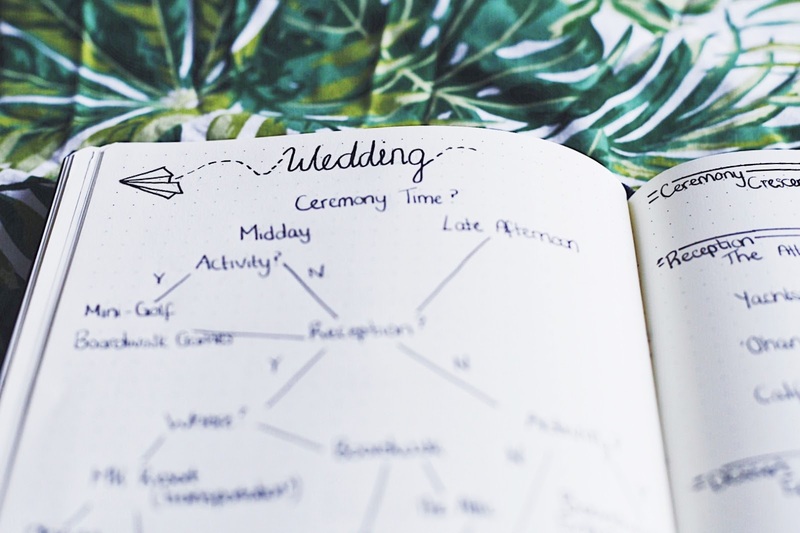 One of my issues with wedding planning at the moment is making sense of all my ideas in my head about the layout of the day and different options for timings and choosing a reception location. There are a lot of 'What ifs' so I decided to create a kind of mindmap/flow chart to help me visualise how each of my ideas tied together. I drew it out in pencil first to make sure I had room (the dot grid made it really easy to create a neat diagram, something a blank or ruled notebook wouldn't allow for) but I still made a couple of mistakes in pen. Having the BuJo has made me realise that it is ok to make mistakes sometimes! On the following page I made some notes that went into more detail (such as cost) of each of the options in the flowchart. As well as the wedding we're also planning a trip back to Walt Disney World next year and I've been struggling to get my head around what dates we'll travel, what date to have the wedding etc. so my next collection is my Disney planning! I started off by writing the title in Disney font (I don't think it turned out too badly?!) and then I wrote a sample itinerary. It really helped to see all of the dates laid out in front of me and start adding in events. 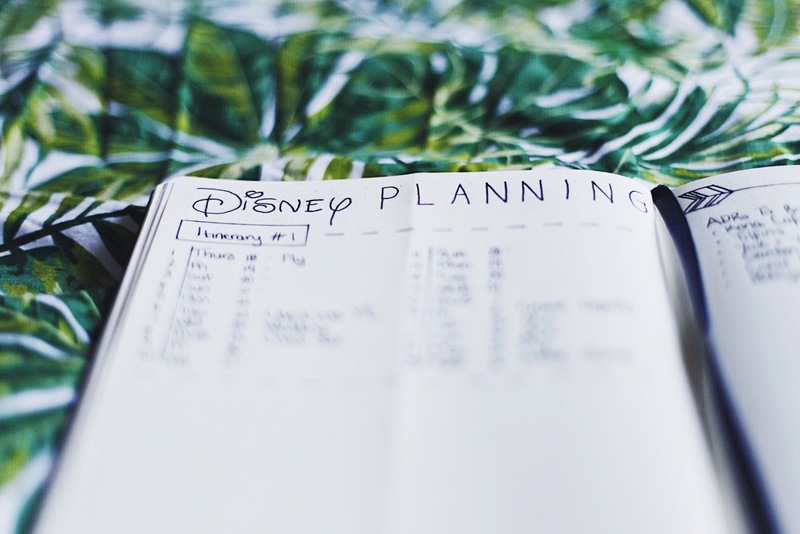 I also created a section to keep track of which restaurants we want to try as Harry and I spend a lot of time watching Disney vlogs and getting inspiration. One of my goals this year is to spend more time working on this blog so my next collection (and biggest so far) focuses on blogging and my YouTube channel (When You Wish Upon a Vlog). 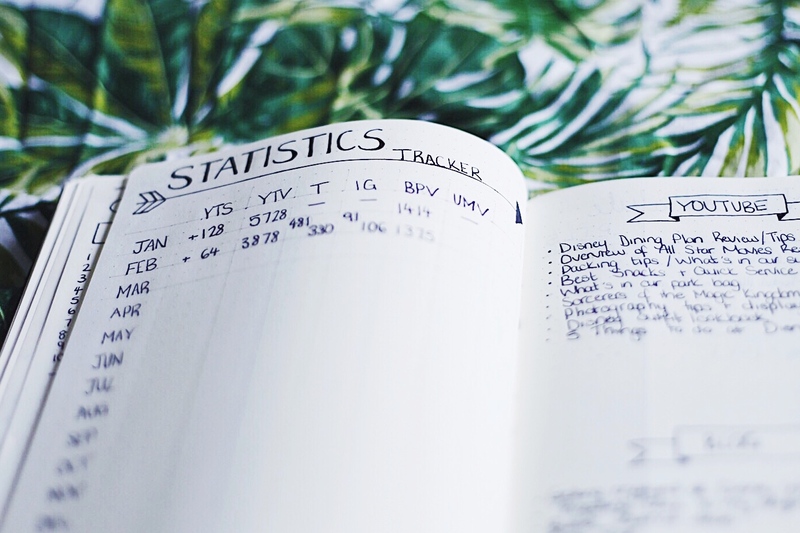 I started off by creating my first Tracker for all my social media statistics so each month I can note down the number of views/followers and see how it progresses over time. Numbers aren't something I've worried about in the past but it can be useful to see how they change and are particularly important if I'd like to start working with brands. It's also a little nudge to remind myself to promote my content which is something I've really struggled with in the past. On the next page I doodled banners for both YouTube and my Blog to create sections where I can note down content ideas. Next I drew I a content schedule inspired by the one Lily Pebbles featured in her Bullet Journal video. 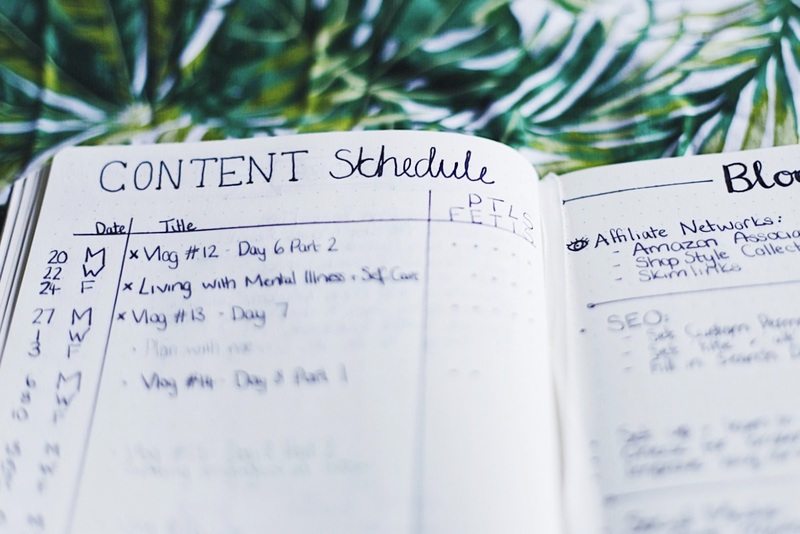 I drew three columns for the date and title of each post and then in the third column I used a Key (For Blog Posts: Photography, Text, Links, Scheduled, For YouTube: Filmed, Edited, Thumbnail, Info Box) so I could check off each task once it was complete. 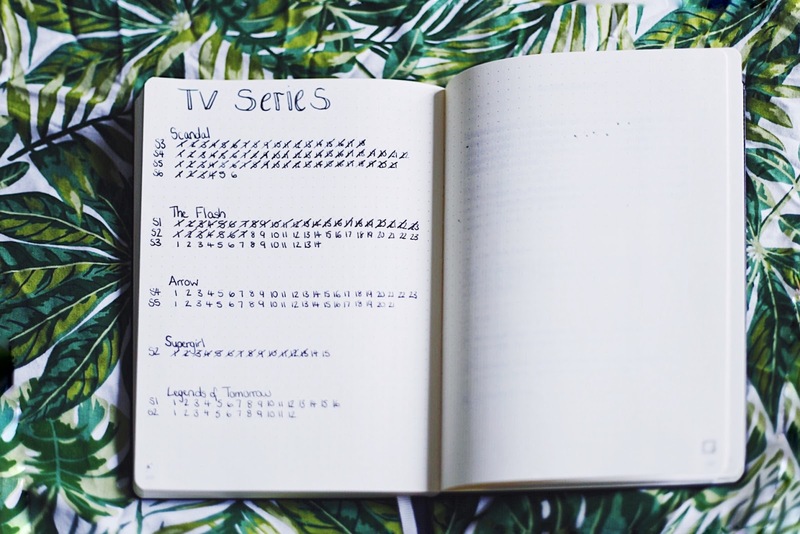 Finally my last collection for the moment is my TV Series Tracker! I keep this in the very back of my BuJo so I can easily flick to it while I'm watching TV and mark off where I am up to in the series that I'm watching. I kept the design minimal (some do beautiful layouts with the logos of the each of the TV Series or tiny TV doodles) and simply noted down the title of the series, the seasons I have left to watch and the number of episodes. It might seem a little silly but it can be so easy to stop watching a show and come back to it months later with no idea where you were up to! That is it for now but I am really enjoying using my Bullet Journal so I'm sure I'll update you soon with more information on how I've added to each section, particularly with Wedding and Disney planning! 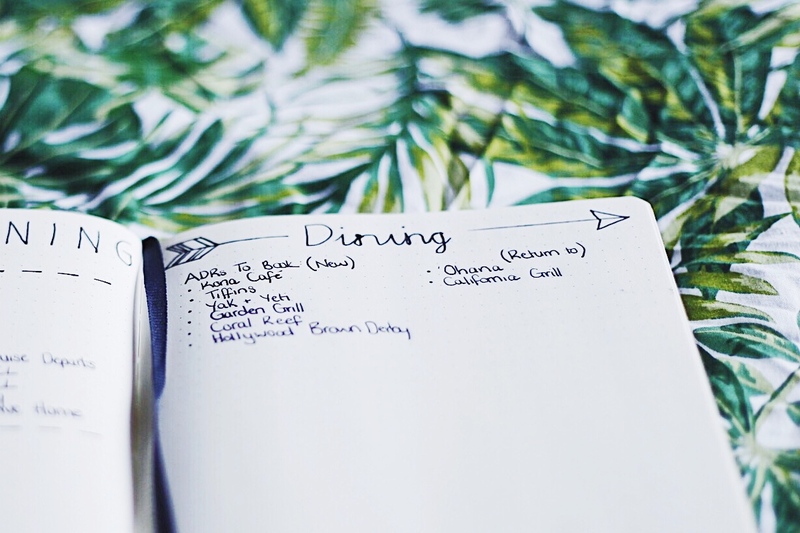 I really hope you've found this post interesting or useful and I'd love to see how you have been using your Bullet Journal so please feel free to leave your links in the comments!